Reward great behavior with a nutritious enriched treat! 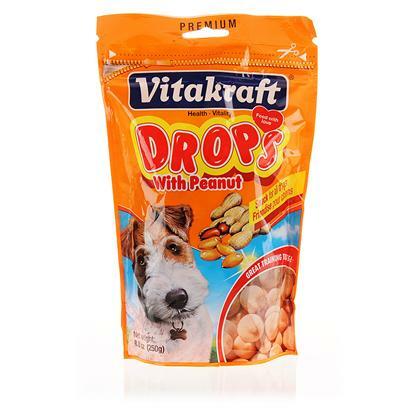 Vitakraft drops have vitamins and minerals to keep your dog healthy and a great flavor that will also keep your dog happy as well. The resealable bag ensures that each treat will be just as delicious as the first bite for your dog. Feed 5-10 drops per day, depending on size of dog. Fresh water should always be available for your dog.